Ferrari S.p.A. is an Italian luxury sports car manufacturer based in Maranello. Founded by Enzo Ferrari in 1929, as Scuderia Ferrari, the company sponsored drivers and manufactured race cars before moving into production of street-legal vehicles in 1947. Fiat acquired 50% of Ferrari in 1969 and expanded its stake to 90% in 1988. In May 2012 the 1962 Ferrari 250 GTO became the world's most expensive car, selling in a private transaction for $38,115,000 to American communications magnate Craig McCaw. 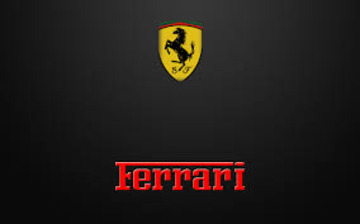 In 2014 Fiat announced its intentions to sell its share in Ferrari, as of the announcement Fiat owned 90% of Ferrari. Throughout its history, the company has been noted for its continued participation in racing, especially in Formula One, where it has had great success. Ferrari road cars are generally seen as a symbol of speed, luxury and wealth.